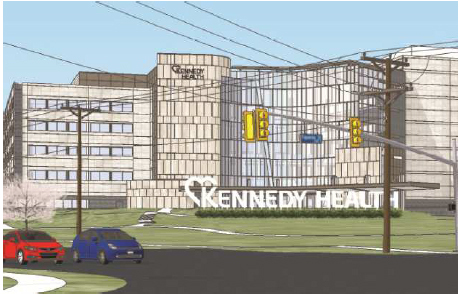 Cherry Hill Township, Camden County, NJ – Kennedy Hospital’s Cherry Hill Division is constructing a $200 million expansion and renovation project. As part of this needed update, the hospital chose CES to work with its sign purveyor to create a full sign location with design application and to obtain entitlements. The project started with an inventory of pictures of existing conditions. CES then completed a township zoning analysis, prepared a plan and gave testimony at the Planning Board to obtain approvals.